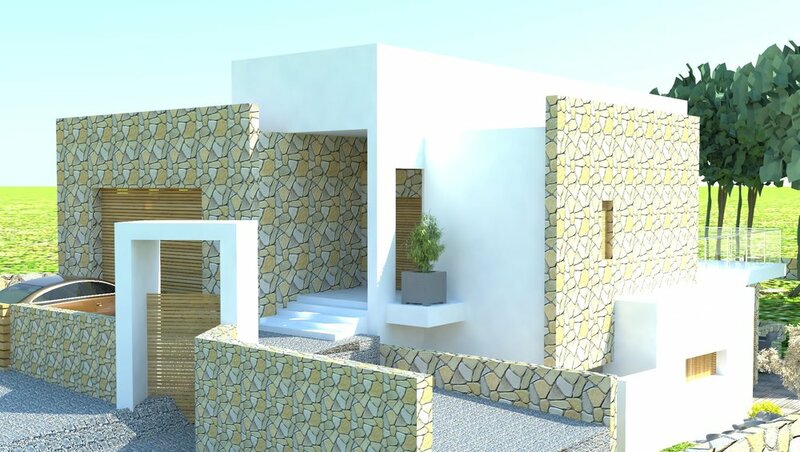 This new property built in Playa de Palma aimed to combine the Majorcan building style with contemporary clean volumes. The concept of the project was born around the idea of building the house on a very irregular plot, making the most of the views but trying to preserve the privacy on the street side at the same time. The starting point of the distribution was a very strong down stroke. 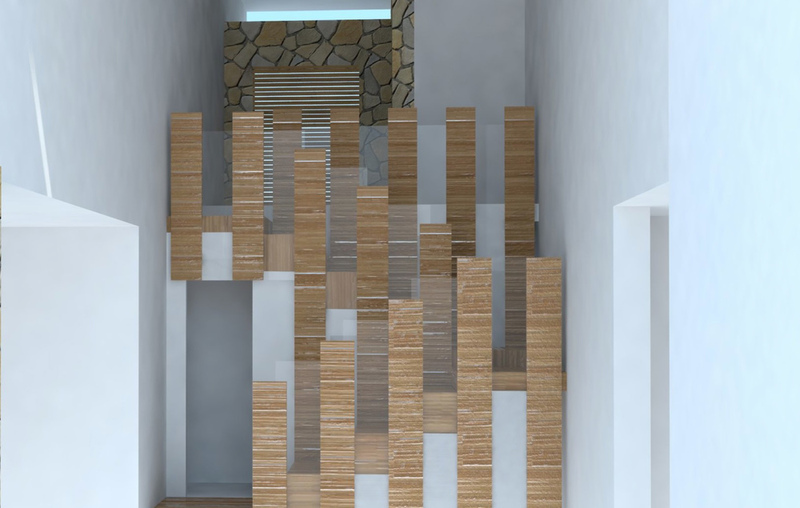 The staircase became the main axis of internal circulation, making it the centre of the indoor space. The volumes were concatenated, so the building itself hided the private garden. This fact caused a surprise effect when you got into the house, showing views that you couldn’t see from the street and turning the action of going downstairs a ritual or ceremony that guides you gradually through the property. We counted on a great scenario to create this lighting project: a spectacular house with big spaces, a good distribution and clear concepts. Once we decided the result we wanted to reach, we used the spaces, their dimensions and highlights as guidelines. In this single family house located in Santa Ponsa we installed the latest adjustable indoor and outdoor LEDs (garden, swimming pool and surrounding area). 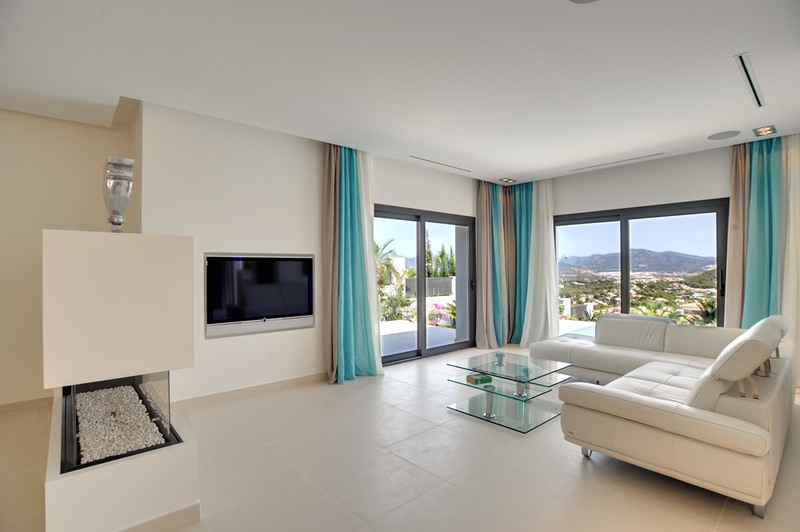 Moreover, the house was equipped with a satellite system and TDT for German and Spanish television, as well as a Smart House System with Crestron and Gira to control climate and lighting. This installation includes remote control from different points. We installed a WIFI Data Network system as well, Spectral interior furnishings, a Denon EOS multiroom sound system and a Loewe television system. 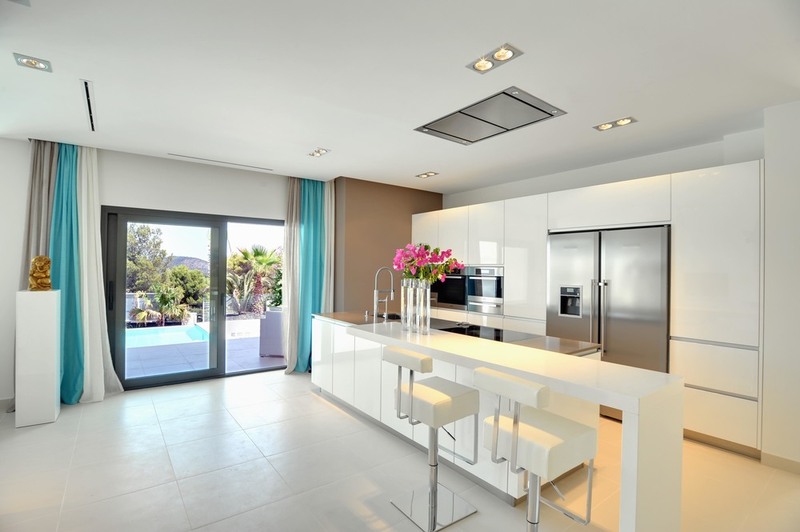 This Mediterranean style residence located in Calvià was built for a logistics professional. This is why it was provided with a basement parking, a machine room and storage rooms. The daytime areas are located on the ground floor: entrance hall with staircase lit from above, living room, guest bedroom ensuite, kitchen, laundry, staff access, "porches" and pool area . The first floor is formed by one bedroom ensuite with walk'in wardrobe, two double bedrooms, bathroom and terrace . The property was built with large windows to the garden and Arabic tiles to maintain Mediterranean style. The main goal of this renovation project was to update the architectural concept, adapting to current needs without changing the essence or original look of the house. One of the most important needs of the clients was to create a large common area to integrate both dining room and living room in order to adapt them to the daily routine of a modern family. The property had a small kitchen with an attached bathroom and a service room: an outdated system. Fundamentally we have used and exploited the square meters that were available for upgrading and modernizing. The house was originally conceived for a large family, it had several rooms that weren't used. This is why we decided to make the most of the space by reducing the number of rooms and adding extra space to each one of them. 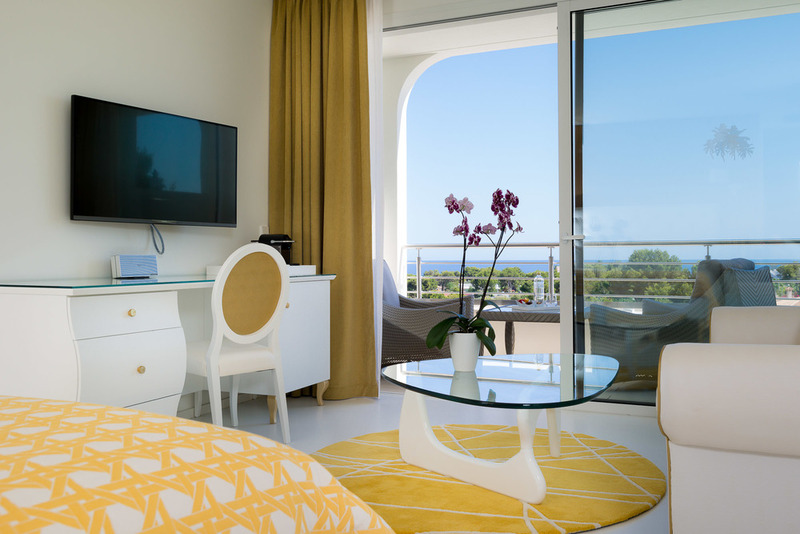 PortalsHills landed on Mallorca in 2015, establishing the 'condo' concept on our island. 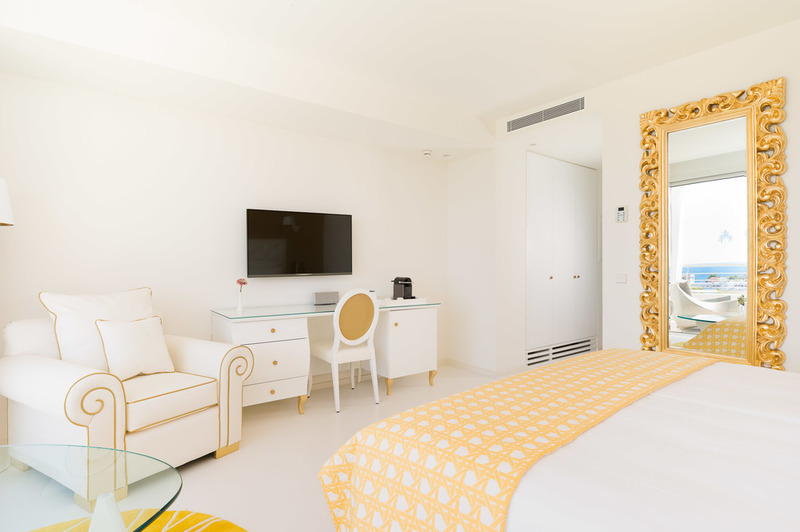 For this project we installed Philipps TV in every room with an IPTV system that allows the streaming of content that comes from the internet to the rooms in an easy and intuitive way. We also installed wireless Loewe sound system equipped with Bluetooth transmission. Moreover, we equipped the elevators with touch screens for better performance and comfort. This villa with spectacular views is owned by an English couple and it is located in Camp de Mar, in the municipality of Andratx. Those views are the main characters of the house, it was all about letting the views lead the project. This is why we built this villa downhill to be able to build terraces at different levels. 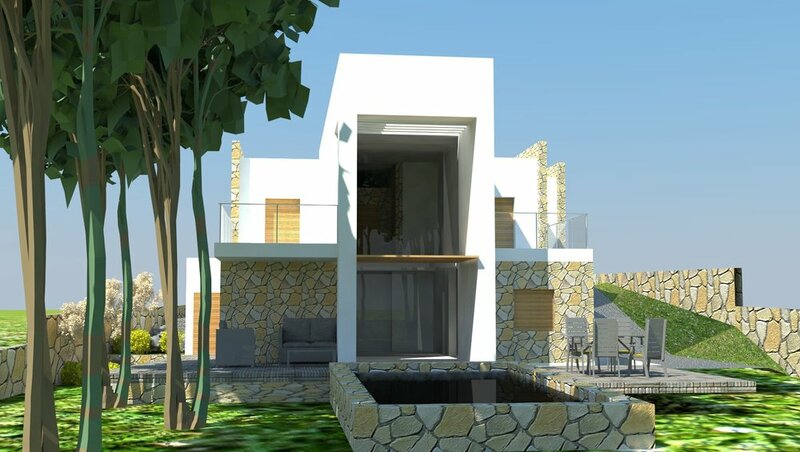 This villa has two entrances: on the top there is the pedestrian access and on the bottom the access for cars. Each room have sea views, except the pantry room and the bathrooms. The property also has an infinity pool. 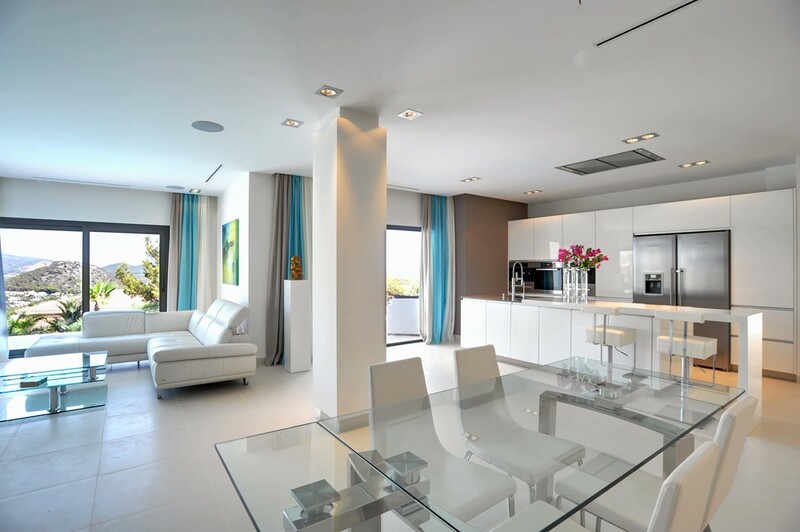 This particular property was built for a businessman working in the publishing industry in Palma de Mallorca. It's a residential villa in the municipality of Calvià for which the main goal was the creation of spaces with different levels of privacy. The ground floor has a central staircase, which is accessed from the hall westwards. In this same floor there is also an office, a living room facing South, a dining room, another office and an ironing room. Heading West there is the kitchen, the laundry room and garage. On the first floor we find the master suite, two additional bedrooms, a bathroom and a living room overlooking the yard and the pool. From the deck floor we can access to the attic by a boat style ladder, from where we have sea views through a porthole window. This project was divided into six areas. First, we installed the 40" Sharp Quattron LED Full HD wall televisions connected with the Bose Dolby Surround Denon iPod docks in every room. To optimize the performance of these televisions, we also installed a central distribution system: movies, films, music and Internet streaming from a central Andalaus server installed in a central rack. We also installed Bose speakers on the terraces walls and in the spa area, which we also equipped with Bose Bowers & Wilkins speakers on walls and ceilings. The living room was equipped with a Geneva Lab sound system with integrated CD radio and IPod. For the conference room wall we chose a 52 " Full HD Sharp Quattron LED TV with Bose Dolby surrond with a videoconferencing system. Last, but not least, we finished this Project with a Sonos multiroom music system, which allowed to monitor and integrate music and create unity throughout the hotel controlled by a remote. gHouse develops complete wellness area projects, both for private houses and hotels. The designs and materials we work with to create saunas, steam baths, jacuzzis, etc. make the difference. Our team's goal is to create unique spa areas to relax, enjoy and suit the client's needs. The living room is the meeting point of a house. If we talk about entertainment, gHouse offers the best solutions. For this project, we installed a Spectral Germany taylor made furniture with an integrated Dolby Surround audio system and a Loewe Connect TV. We also installed Spectral Germany modules on the wall with an aesthetic purpose. Fun guaranteed!